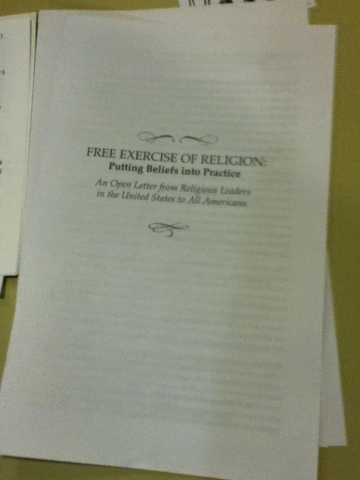 Just found this pamphlet in the evergreen library where the Gideon bibles were the other day. 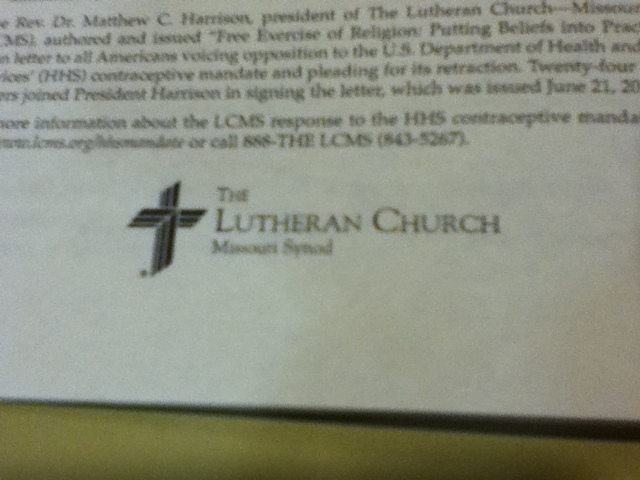 It's put out by the Missouri synod Lutherans. 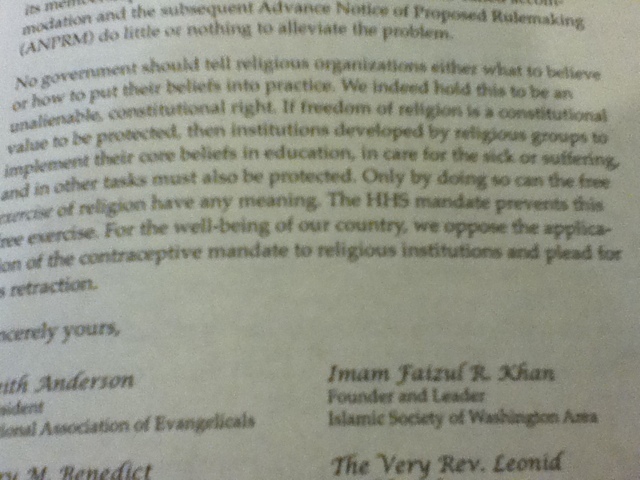 Here's a tip, if providing health care to women is against your religious beliefs, then stop hiring people and try to get volunteers to do everything. What? You're too lazy? These pamphlets now have a satanic surprise inside. Have some cookies and stop trying to control people. You'll feel better. Hail Satan! Saw this a while ago and forgot to post it. The holy janitor took it down weeks ago because it was on the first floor of the CAB at evergreen. Please confront him if you see him removing flyers Monday through Friday mornings and early afternoons. Also, call the college and complain about him. The number is 360 - 8 - 666 - 000. That's correct, evergreen has the phone number of the BEAST! He's still doing this. Evergreen is ostensibly a secular institution, yet no disciplinary action seems to have been taken against this janitor for selectively singling out and censoring one religion from the flyer boards in his area. This is institutionalized bigotry. This is not the gathering you're looking for. Here's a flyer for the other gathering next to ours. Make sure you show up to the one you want. The unholy gathering meets monthly on the fourth Wednesday at the Olympia center. The holy gathering meets weekly in the CAB quiet study room at evergreen on Tuesdays at 5:30. Do they have cookies too? Maybe. But remember, forbidden cookies are always sweeter. Hail SATAN! The next gathering is October 24, 7:30 PM at the Olympia Center, room 200. We have cookies. This picture shows one of the flyers. With a flyer like that, it must be worth going to. What is this event? It's tonight (friday, october 12) at the artesian well in Downtown Olympia at 10 pm. The Gideons left these bibles at the Evergreen State College Library yesterday. 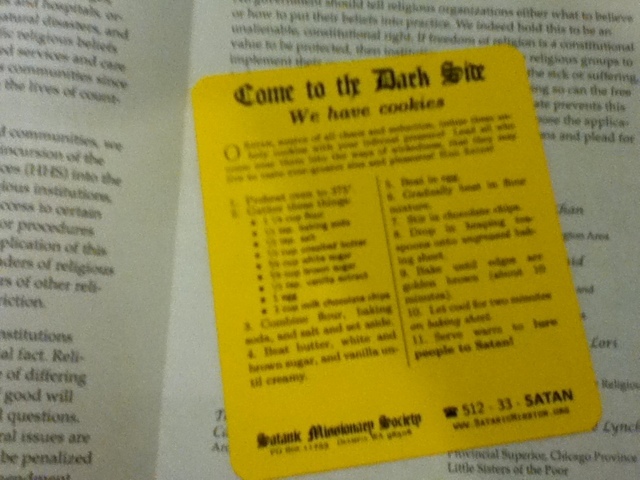 Now they've been Satanized with unholy bookmarks. Hail Satan!